At Habitat Apartments, we care about your experience. 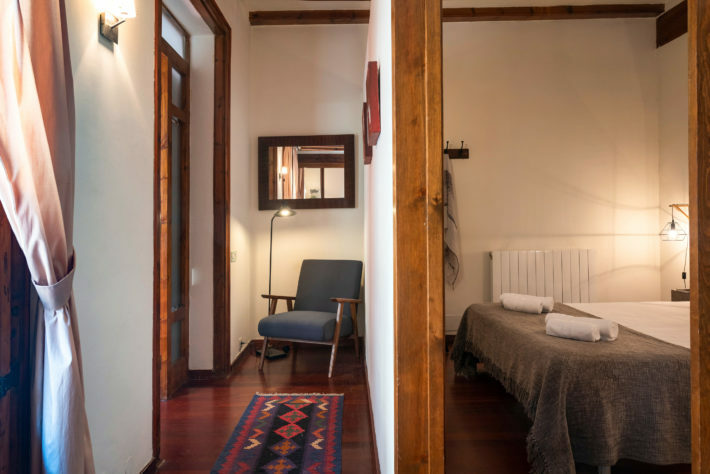 This July, the selected featured apartment is Ferran Apartment, one of our superior apartments located in Barri Gotic, Las Ramblas – a labyrinth, hypnotic and multi-dimensional area. 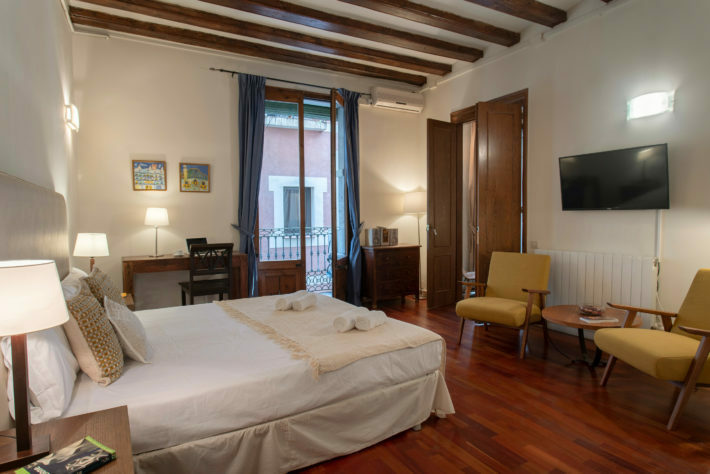 Ferran apartment is located in Barri Gotic – a district fulfilled with captivating medieval and Romanesque architecture. This district is the city's historic center, located within easy reach of Las Ramblas and stretching as far as the Mediterranean seafront. Many of its buildings date back to medieval times, and there are even some well-preserved Roman walls. On short breaks in Barcelona, you can explore the area easily on foot and much of it closed to motorized transport. In this area, customers can admire the Cathedral, Plaza Cataluña, Plaza Sant Felip Neri, Carrer del Bisbe, Las Ramblas, La Plaza Real. This historic quarter of narrow and, in many cases, pedestrianized streets and squares is full of character and charm and home to hundreds of shops, bars and restaurants. Gran Teatre del Liceu – 0.16 km. Gran Teatre del Liceu is Barcelona's opera house. Since its foundation in 1847, it fulfills its role as a cultural and art center. Plaza Real – 0.16 km. The Plaza Real is a beautiful square located just off Las Ramblas. It was constructed in honor of King Ferran VII who reigned during the construction and features a lovely fountain in the middle. Las Ramblas – 0.17 km. 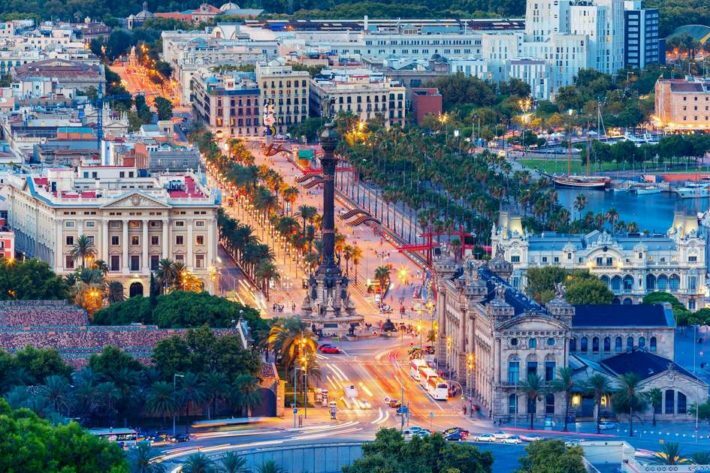 One of the most famous symbols of the city, Las Ramblas, is the long walk from Plaça de Catalunya to the sea, where you find the statue of Columbus. The apartment featured five double bedrooms, three bathrooms, a fully equipped kitchen, a living room and a large sunny terrace. Every detail inside the apartment, from the wood table, kitchen plate to bedsheet or towels are elegantly designed and selected, in order to bring the most comfortable experience to customers. 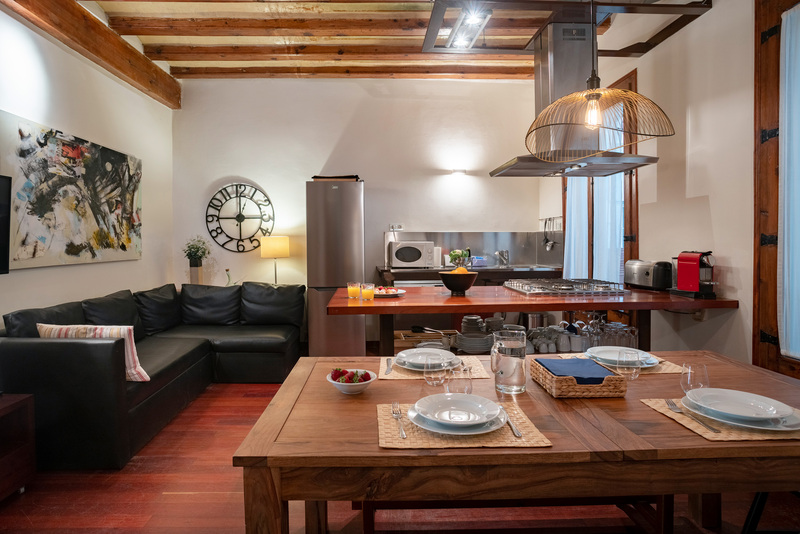 Ferran apartment is a spacious apartment, which can accommodate up to eight people, perfectly suits a family or friend trip. “We stayed here for a long weekend with a group of friends and the apartment was lovely I booked it and everyone was so impressed with it too – don't be fooled by the door to get to the apartment as its amazing inside. It was also extremely clean and the beds very comfortable and the location was just perfect Thanks so much for having us and I would recommend anyone to stay here. Plan to visit Barcelona with friends/family? Book a night at Ferran apartment or view the full list of holiday apartments of Habitat Apartments here.